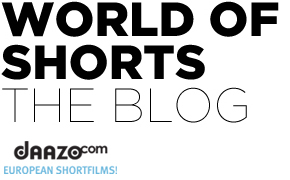 The Jury of Berlinale Shorts is revealed! Wahyuni A. Hadi is the executive director of the Singapore International Film Festival. In 2013 she co-produced Ilo Ilo, which won many awards, including the Caméra d’Or at the Festival de Cannes. She is a partner in Objectifs – Centre for Photography and Film, and founding member of the independent short film distributor Objectifs Films. As leading expert and advocate of Singaporean cinema, she initiated in 2009 the Singapore Short Film Awards with filmmaker Chai Yeewei and The Substation, Singapore’s contemporary art centre. Halil Altındere – The Istanbul-based artist explores political, social andcultural codes, and focuses largely on depicting marginalisation andresistance to oppressive systems. Altındere has been a central figure inthe Turkish contemporary art world since the mid-1990s, not only as anartist but also as the publisher of art-ist Magazine and as a prominentcurator. His works have been included in exhibitions at the Documenta,the Manifesta, and the biennials in Istanbul, Gwangju, Sharjah and SãoPaulo, as well as at MoMA/PS1, New York. In 2015, the KunstpalaisErlangen will present a large solo exhibition of his work. Madhusree Dutta – Since the 1990s, filmmaker, curator and pedagogue Madhusree Dutta’sinter-disciplinary engagement revolves around urbanology, migration,gender and identity. Madhusree’s films have been screened at filmfestivals and art events all around the world. Her latest multidisciplinary,multi-scalar curatorial project Cinema City (2009 – 2014) wasshown at Berlinale Forum Expanded in 2010. She is the executive directorof Majlis, a centre for rights discourse and multi-cultural art initiatives in Mumbai. From the Berlinale Shorts press release. The logo is the property of Berlinale Film Festival.